Hennessey took the Jeep Grand Cherokee Trackhawk and made an already fast SUV even faster. The company completely rebuilds the engine with new pistons, rods, and ported cylinder heads along with a giant supercharger and lots of other mods to squeeze 1200hp out of the car. That works out to about 1003hp and 892 lb-ft of torque at the wheels. 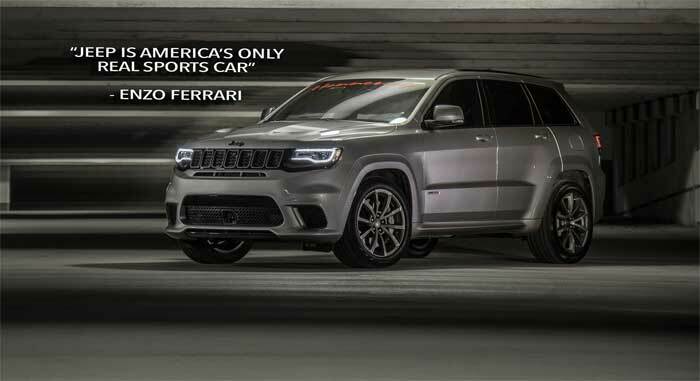 That is enough power to push the big 4-door SUV to 60mph in 2.3 seconds, and run the quarter mile in 9.6 seconds at 145mph; the top speed is over 200 mph. Hennessey says this is the quickest accelerating SUV in the world. The work is covered by a single year warranty or 12,000 miles, whichever comes first. The Hennessey HPE1200 Trackhawk sells for $179,000 and that price includes the base Trackhawk. Only 24 will be made and they are available to purchase globally.